The news from the Danish capital gives a picture of chaos. After planning a conference with about 40 thousand people in attendance, the hosts find it impossible to honor their promise. Evo, the first of the two presidents of ALBA-member countries to arrive, stated some truths derived from the millennium-old culture of his people. According to press agencies he said that he had received a mandate from the Bolivian people to oppose any agreement that does not meet the expectations. 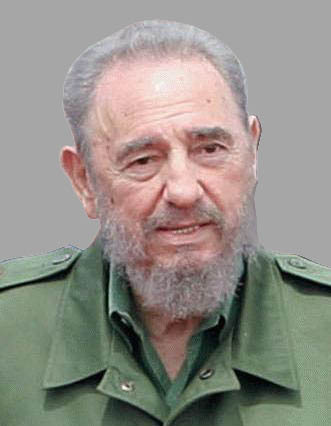 He explained that climate change is not the cause but the effect, and that we all have an obligation to defend the rights of Mother Earth vis-à-vis a capitalist development model; to defend the culture of life vis-à-vis the culture of death. He also addressed the climate debt that the rich countries should pay to the poor countries and the return of the atmospheric space taken from the latter. “How much longer are we going to tolerate armed conflicts that massacre millions of innocent people so that the powerful can grab the resources of others? As it is widely known, the UN Agreement on Climate Change was signed in Kyoto in 1997. This instrument bound 38 industrial nations to cut down their greenhouse effect gas emissions to a certain percentage in comparison with those of 1990. The European Union countries committed to an 8% as of 2005, the year when most of the signatories had already ratified it. George W. Bush, then President of the United States, –the largest greenhouse effect gas producer country which is responsible for one-fourth of such emissions—had rejected the agreement since the midst of 2001. The other UN members continued their efforts. The research centers proceeded with their work. It is evident by now that a major catastrophe is threatening our species. Perhaps the worst could be that the blind selfishness of a privileged wealthy minority tries to bring the burden of the necessary sacrifices to weigh heavily on the overwhelming majority of the inhabitants of the planet. That contradiction can be perceived in Copenhagen where thousands of people are standing firm by their views. The Danish police are resorting to brutal methods to crush resistance; many protesters are being preventively arrested. I spoke over the phone with our Foreign Minister Bruno Rodriguez, who was at a solidarity rally in Copenhagen with Chavez, Evo, Lazo and other representatives of ALBA. I asked him who those people were that the Danish police suppressed with such hate, twisting their arms and beating their backs repeatedly. He said they were Danish citizens and people from other European nations as well as members of the social movements who were demanding from the Summit a real solution now to deal with climate change. He also told me that debates in the Summit would continue at midnight. It was already night in Copenhagen as I spoke with him. The time difference is six hours. Our comrades have reported from the Danish capital that a worse situation is expected tomorrow, Thursday. At 10 in the morning, the UN Summit will be adjourned for two hours as the Danish Head of Government meets with 20 Heads of Government he has invited to talk “global problems” with Obama. That’s what they have called the meeting whose objective it is to impose an agreement on climate change. 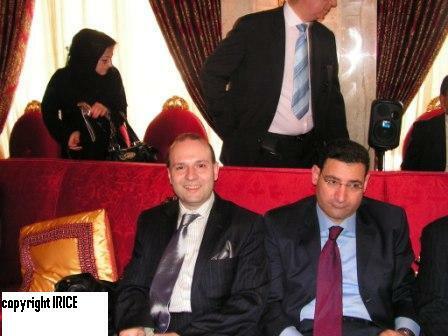 Even though all of the official delegations will take part, only “the invitees” will be allowed to offer their views. Of course, neither Chavez nor Evo are counted among those entitled to express their opinions. The idea is to give an opportunity to the Nobel Laureate to read a previously elaborated speech, after the decision has been made in that meeting to postpone the agreement until the end of next year in Mexico City. The social movements will not be allowed to attend. After that show, the “Summit” will resume its works in the plenary hall until its inglorious closing. Since television has carried the images, the world has seen the fascist methods used against the people in Copenhagen. The protesters, most of them young people, have won the solidarity of the peoples. Despite the maneuvers and deception of the leaders of the empire, their moment of truth is drawing closer. Their own allies are losing confidence in them. In Mexico, the same as in Copenhagen or elsewhere in the world, they will be met by the growing resistance of the peoples that have not renounced the hope to survive. On Saturday 12 December 2009 at a press conference in Bucharest professor Anton Caragea, president of European Council on International Relations expressed his hope in the succes of Copenhagen World Climate Summit. 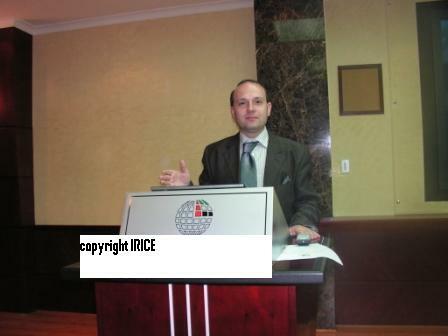 In order to obtain a sharp reduction in Co2 emission and in polution professor Anton Caragea presented the experiment of United Arab Emirates economic model based on a new energy revolution. This economic model could not be understood if we not see the UAE participation in a new energy revolution. Rich in oil and gas UAE is not forgetting that this wealth will eventually ceased to exist or will become to expensive to exploit or to ecological detrimental, so they choose to invest in solar energy. With 365 day a year with clear sky the UAE could not only suffices his one energy demands but also be a world suppliers of green energy and technology. 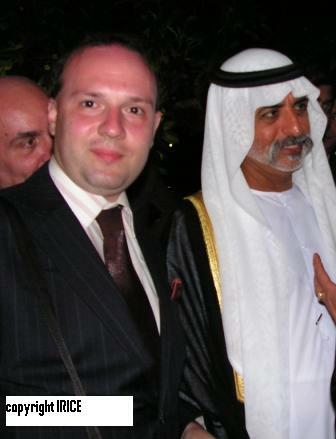 Between 19 to 24 November 2009 Professor Anton Caragea, president of European Council on International Relations (EUCIR) was invited to participate at the 38 Celebration of National Day of United Arab Emirates. This was the first participation from European Council on International relations to the National celebration of United Arab Emirates. The invitation was issued by the National Media Council of United Arab Emirates and was destined to support an increase in bilateral relations and mutual knowledge. 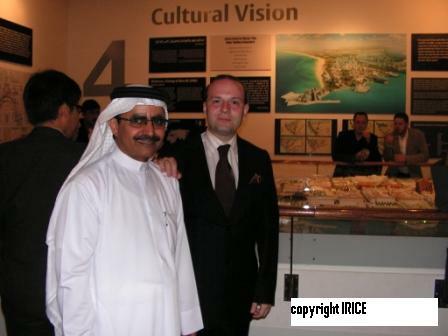 The program for the visit was very dense and full with high level meeting destined to offer to participants a deep knowledge of the United Arab Emirates prominent place in today`s world. The delegation has meet with His Highness Mohammed bin Rashid Al Maktoum, Vice-President of UAE, Prime-minister of UAE and Ruler of Dubai, H.E. Sheikh Nahyan bin Mubarak Al Nahyan – Minister for Higher Education and Scientific Research, H.E. 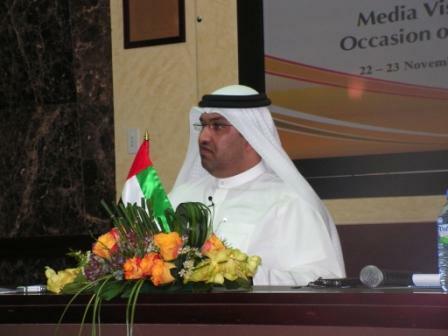 Dr. Anwar Gargash, Minister of State for Foreign Affairs, H.E. Sheikh Lubna Al Qasimi, Minister for Foreign Trade, Sultan Al Jaber CEO- Masdar etc. Also the delegation received a complimentary tour of the most successful projects of United Arab Emirates as Yas Island- the place for a real estate revolution and Saadiyat Island, a project of the most complex cultural and green city in the region. 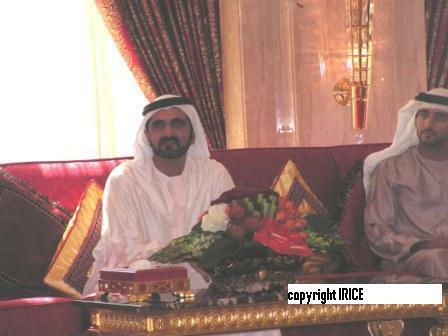 Without a doubt the most important moment of the visit was the reception hosted by His Highness Mohammed bin Rashid Al Maktoum, Vice-President of UAE, Prime-minister of UAE and Ruler of Dubai that expressed his willingness to make all the necessary efforts to assure the brightest future to united Arab Emirates, to increase economic capacity of the country and to foster relations with all the of European Union and with a special emphasis on European markets as a hub for United Arab Emirates products and technologies invested in Europe. The participation of professor Anton Caragea as representative of European Council on International Relations at this important anniversary of 38 years of independence of United Arab Emirates was in itself a symbol of the willingness from both side to create what Professor Anton Caragea, EUCIR president declared a strategic partnership between European Union and United Arab Emirates.